Must see! Beautiful 4 bedroom, 4 bathroom home with Finished Basement! 2 Car Garage, located in Sableridge Townhomes community. Open floor plan w/ main floor laundry, updated bathroom and spacious, freshly painted, living room w/ custom built-in cabinetry and fireplace. Opens into the recently updated kitchen w/ large eating space. Plus $1,500 credit for Buyers to select their new granite kitchen counters! Large basement features bedroom (non conf, 3/4 bathroom, bonus/rec room w/ gas fireplace. The upstairs showcases 3 bedrooms each with large closets for ample storage including a Master bedroom with en-suite bathroom. Enjoy the enclosed sun room as well as the fenced yard with patio and new sod providing the perfect place for entertaining or casual living. 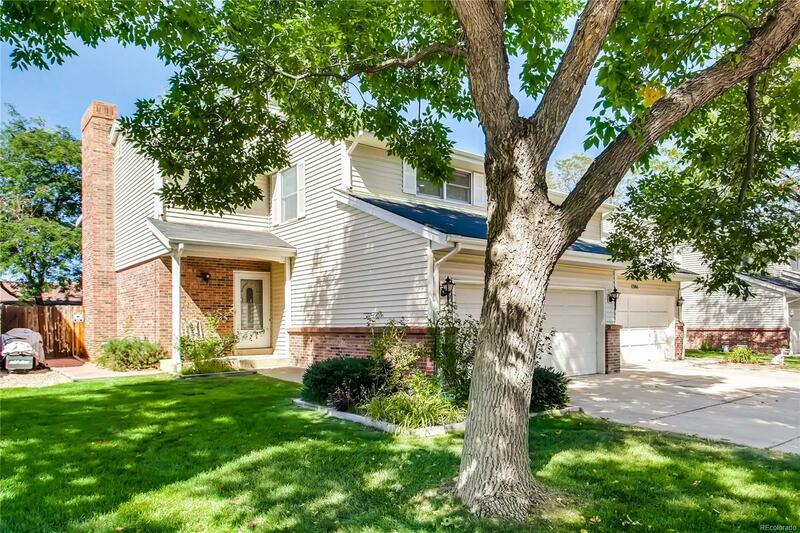 Conveniently located close to I225, shopping, dining, DIA and walking distance to High School. If you are looking for the best in maintenance free living, the HOA mows front and back weekly so this home is truly lock and GO! Wow!